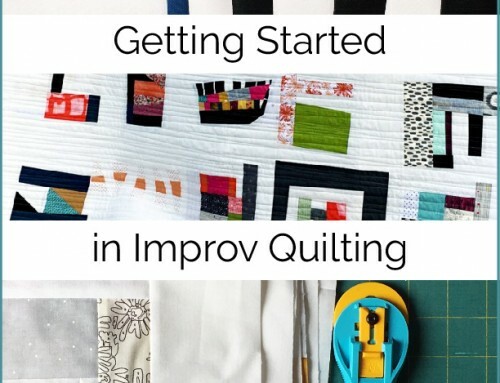 Experimentation in my quilting journey tends to come in small doses between deadlines. 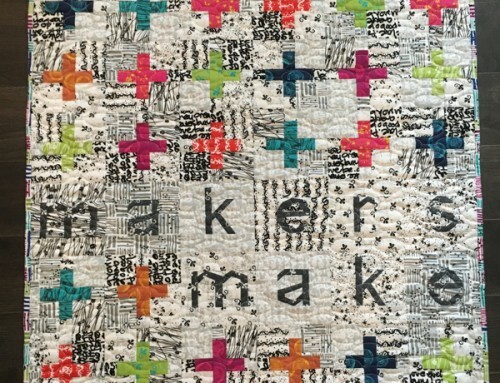 My Experimentations Quilt is a result of the #100daysofquiltimprov I did in 2017. 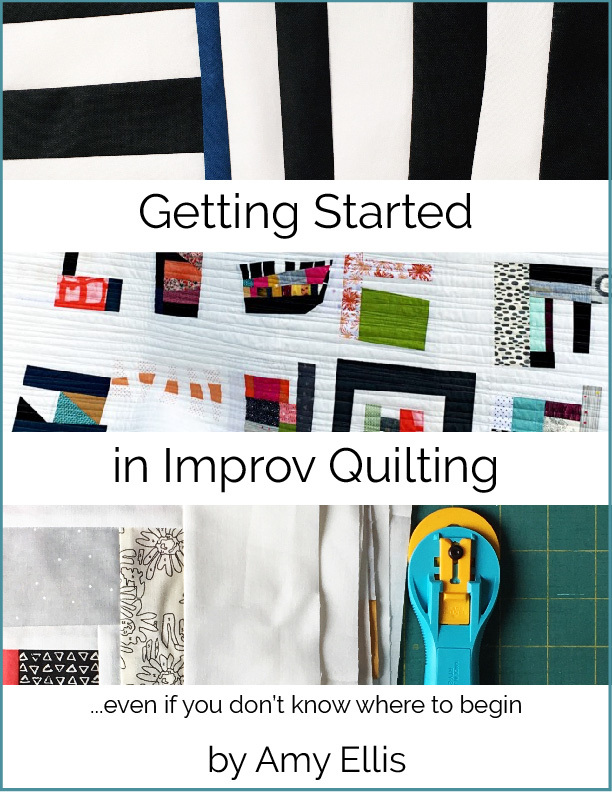 While sewing my 100 days project I wanted to explore improv without too many constraints, and on a daily basis. Doing something everyday for 100 days is a great way to hone a skill! I had a defined set of “rules” for my improv challenge. 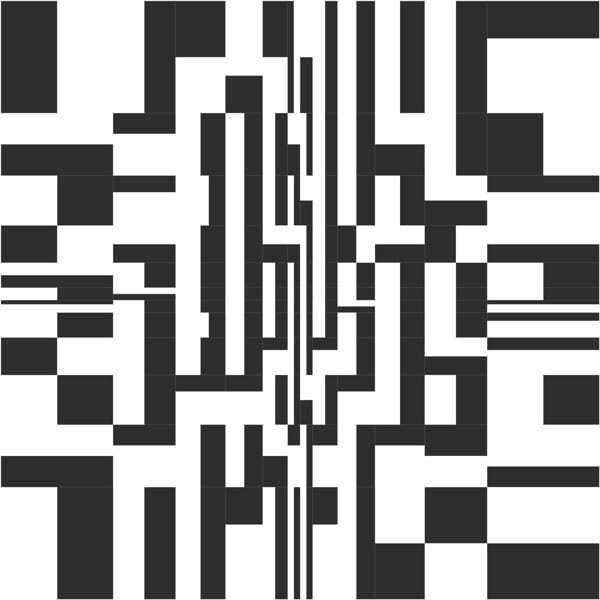 Black and white solids, with scraps. The first half, I played a lot with my scraps. It was fun to explore without any materials cost, and just see what worked and I liked. Halfway through my 100 days, I was playing in EQ and was excited to design this piece of inspiration. 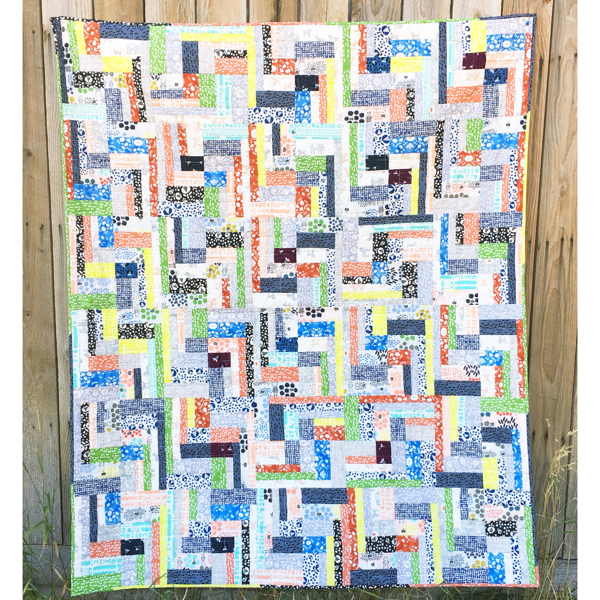 My Hyperspeed quilt has the same alternate grid, and I’ve had fun experimenting with different blocks in the same layout. 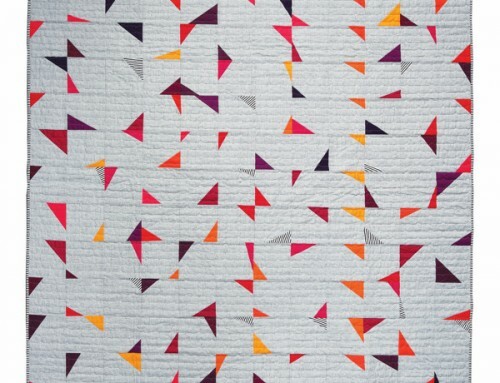 What I love about this design, is the random shapes that are created by turning simple strip pieced blocks. 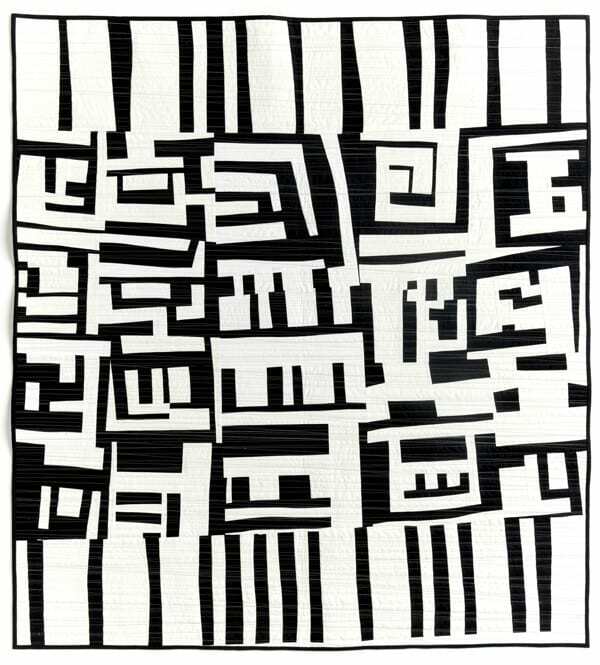 Inspiration in hand, I was determined to finish my 100 days with only black and white compositions and explore the shapes that could be made as I sewed. 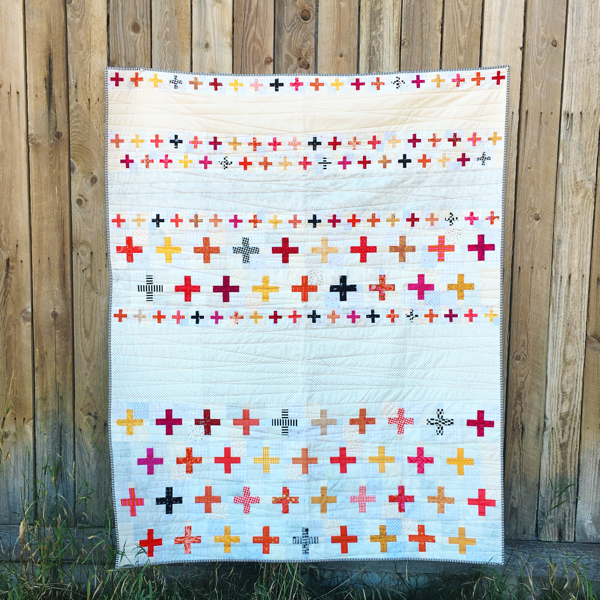 Fast forward nearly two years, and I have a finished black and white quilt. 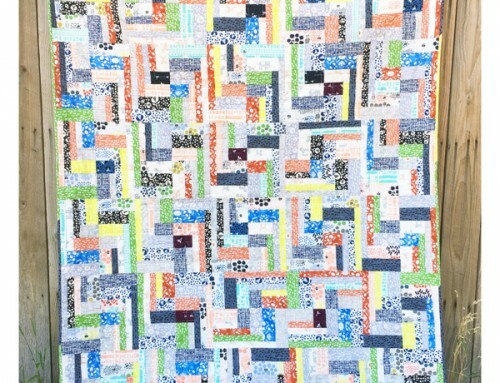 I quilted Experimentations with my favorite random lines in silver thread, and then added medium grey and a deeper grey over the top too! 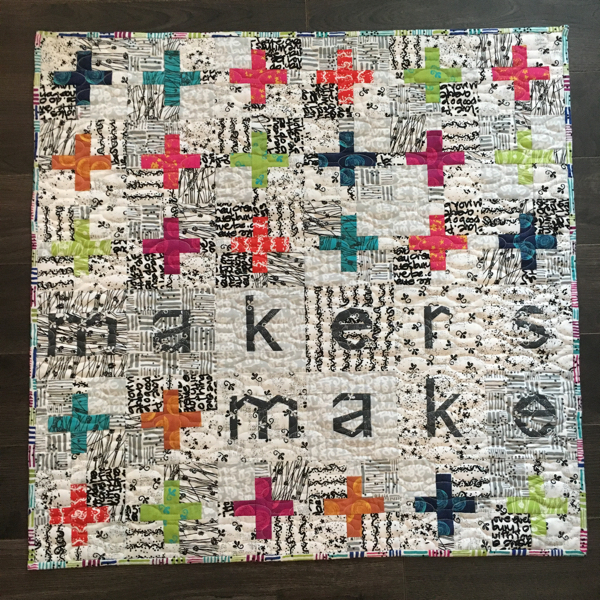 While my quilt does not look exactly like the inspiration I designed, it was the deciding factor in keeping my quilt true to my black and white vision. And I often referred to it while deciding what to aim for in my piecing as well. Improv hasn’t come naturally to me, but I do love it! 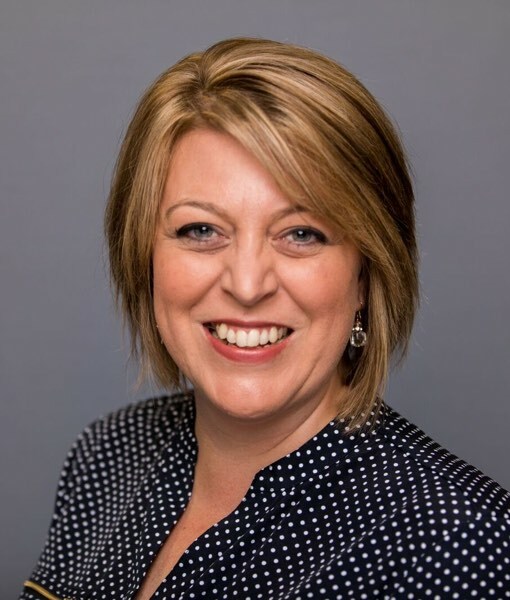 I have a couple of resources available if you want to learn more. I encourage you to just try, and see what you like! 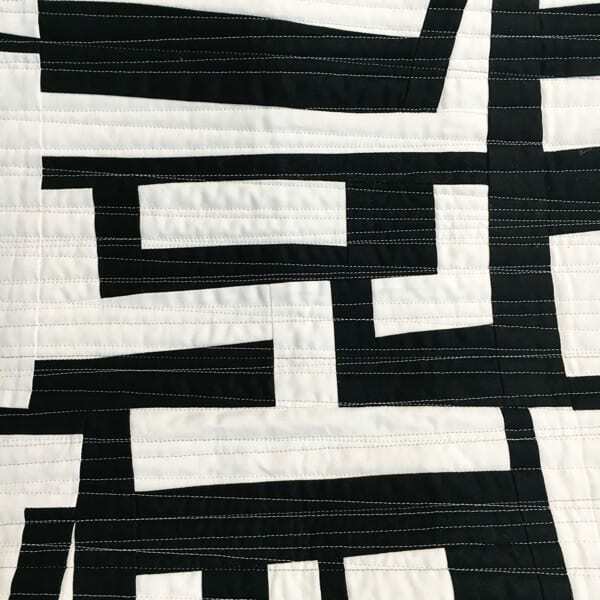 Black and white is super for the Experimentation Quilt. Love it! Wonder if it would be as successful in another 2 colors. 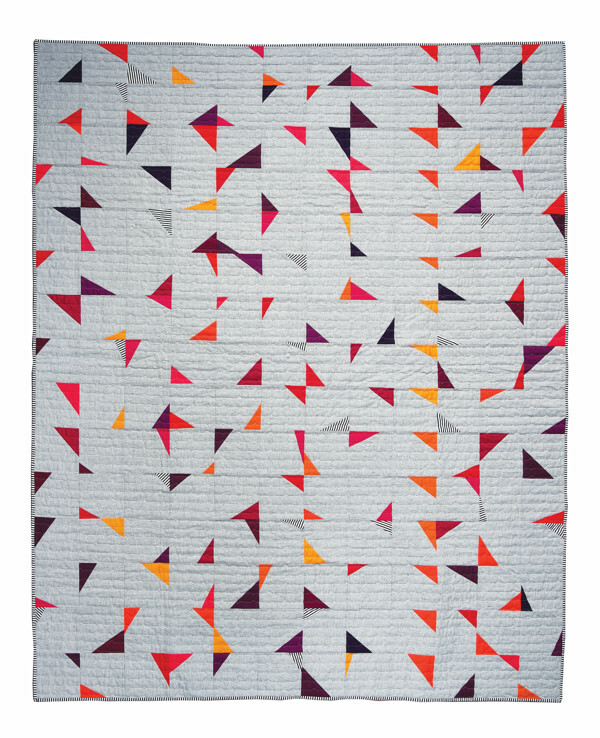 I think 2 color quilts are stunning. I think this would be very successful in any two colorways. Just two colors is Challenging! 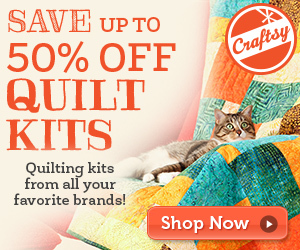 Your quilt is fantastic! 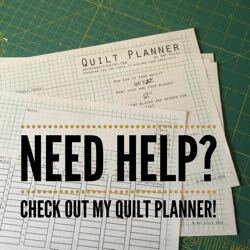 I met you briefly at QuiltCon in one of the vendor booths…you are very talented. 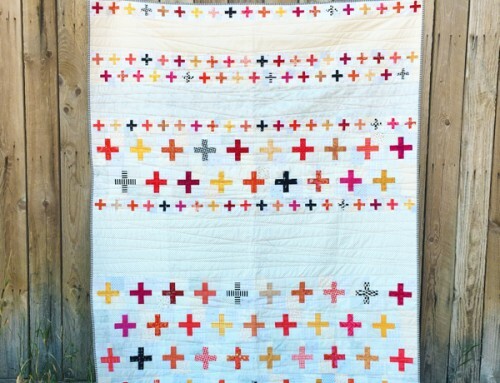 Your Experimentation quilt is fantastic! I love the black & white combo! Well done! Your Inspiration piece is super cool too!